The journey toward becoming an Age-Friendly Community requires ongoing commitment and action from the community. 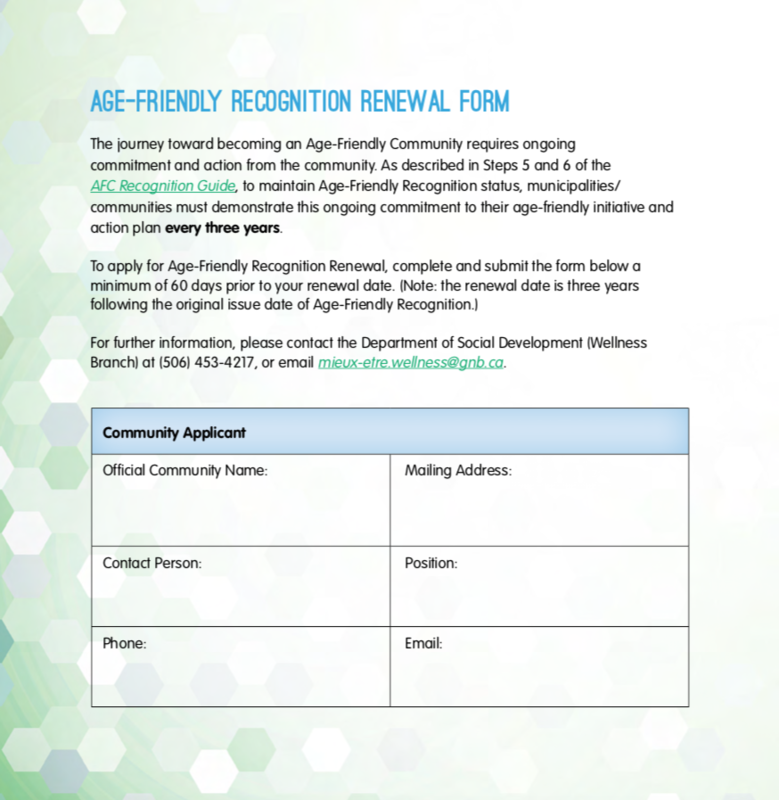 As described in Steps 5 and 6 of the AFC Recognition Guide, to maintain their Age-Friendly Recognition status, municipalities/communities must demonstrate this ongoing commitment to their Age-Friendly initiative and action plan every three years. A community that has already received an Age-Friendly Community Award and wishes to maintain and renew this certification should use this form to do so. Follow the instructions included with the form to how and when to submit completed forms, and to obtain contact information for any question pertaining to the program or the renewal process.